Of all jewels rings hold the greatest significance. The exchange and wearing of rings to mark marriage can be dated back to Ancient Egypt, and the practice became common in Europe through the Classical period. No other jewellery fits so snugly to its wearer that it becomes almost a part of their body. Couples celebrate the growth of their relationships with three rings: the engagement ring; the wedding ring; and the eternity ring. Since Ancient Roman times, engagement rings have been given as tokens of a pledge to marry. The practice has continued throughout the ages and different customs and traditions have built up around them. For example, a Roman bride to be had an ornate ring to wear in public, and an iron one for home use. The earliest recorded gift of a diamond engagement ring dates back to the fifteenth century. An engagement ring served a mercenary purpose as it showed a hopeful bridegroom was able to support the bride and would be kept by her if they split up. Historically, engagement rings were worn only by fiancées, but now both partners in a couple can wear them. Often more ornate than a wedding ring, an engagement ring is always inlaid with precious stones, usually diamonds. The earliest wedding rings were woven from hemp. There is also a myth that puritans, uncomfortable with the showiness of gold, nipped the tops off thimbles and used them as wedding tokens. While hemp and thimbles have their uses, to be sure, precious metals last longer and look far more attractive. Traditionally wedding bands were plain, but now it is not unusual for them to be set with gemstones, often to complement those in an engagement ring to form a bridal set. The wedding ring plays a part in the wedding ceremony and its significance is generally shown by its being of a greater width than an engagement ring. Dual wedding ring ceremonies became popular in the US at the beginning of World War II and are now the norm. An eternity ring, sometimes called an infinity ring, is a ring given to a partner to mark the endurance of a marriage. The first eternity rings were worn in the eighteenth century and were set with topaz or paste jewellery. Traditionally, these rings were given on the tenth wedding anniversary, or following the birth of a first child. The entire circumference of an eternity ring is set with a line of diamonds. Eternity rings seem to hold an attraction to actresses, both Marilyn Monroe and Elizabeth Taylor wore them, and they are still seen on red carpets gracing the fingers of such talents as Salma Hayek and Nicole Kidman so you will be in good company when commissioning an eternity ring for your loved one. Some find a full eternity ring too cumbersome for everyday wear and opt for a half eternity ring which has only the outwardly visible half circumference of its surface inlaid with diamonds. The classic full eternity ring has grown in popularity as jewellers are able to set diamonds along the ring’s bevel allowing the wearer a greater degree of comfort. We hope that we’re able to help you differentiate the 3 significant rings with the points we’ve discussed in this article. 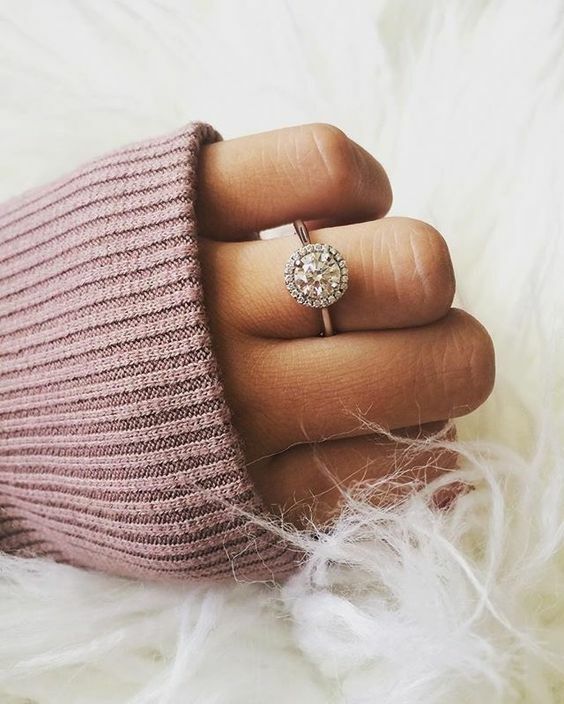 If you’re shopping for a ring, find a reputable jeweller now!